Ive read the new version v4.4 improvements and features printed in p3d site, a two page list. The big list of issues address 95% of "military" aspects of the simulation. Weapons, tracking missiles, drones, armoured vehicles, multiplayer for military training pourposes, etc. You can feel how much work programmers have spent time in this new version, but I can only imagine them as being soldiers or officers engaged in developping a "war sim"
While I understand Lockheed Martin has gone into an all-military production since the Tristar 1011, the sim P3D which is a continuation of Microsoft FSX and luckily Lockheed Martin decided to take it forward, the sim serves a broad civilian purpoose for training also, wether private bush pilot of instrument flying and FMC training. I dont know who have the larger consumer shares, military or civilian flight, most probably both. Not to mention the game-for-fun users. If I could get this message thru Lockheed Martin (posted in their site also) I would say I am a bit disapointed they are concentrating efforts in upgrading the sim for just the military, I woluld like to see a more balanced work to benefit the civilian simmers and world too. As far as I know we are not in any major war, nor I dont get the advantage of puting military training in a public sim. Potential enemies could easily train in this same platform. Yeah, It's really astonishing how military orientated an defence company like Lockheed Martin can be. Not surprised. Look at LM's mission. I'm going to take a wild stab that the version of P3D that our military or LM's customer's use is vastly different than the one we use. My guess is that our version is only the base platform of what the military uses. No its what they do. You can not really be surprised by that? 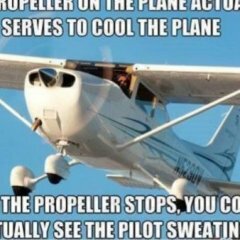 P3D is not really used for actual pilot training that much. Many professional applications are about multiuser/joint training of "scenarios" - air, land and sea combined. That can mean war, but it also means, for example, disaster response. 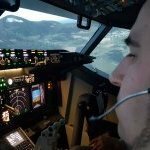 You can make good money by creating training scenarios for P3D with SimDirector for professional users - and that doesn't necessarily mean pilots. Yes, you can also fly very well in it - but I think that this is no longer the primary focus. Plus, it is still a firm belief among the commercial users that P3D is "just a desktop sim". As such, it is not really to be considered if you want to teach people how to fly - or to do anything "serious" for that matter. There are other companies providing way more advanced solutions for that, like Quantum3D, XVR, Zedasoft or Presagis. Weird. 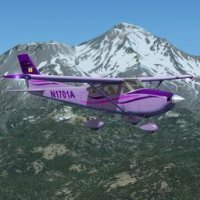 I just fly my GA planes in P3D and I don't have any weapons on them. Nobody ever shot at me in it either. The OP smells like another XPlane troll, IMHO. When us civilians start paying them the kind of money the military does, I'm sure they'll be happy to listen and make changes for us. I wouldn't be surprised if LM's sales related to flight training are at least 80% military oriented. 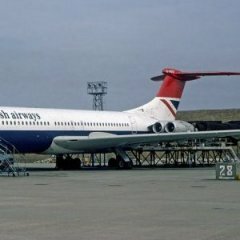 Keep in mind they don't just sell P3D as a stand alone software product; they also bundle it in flight simulation and training contracts to US and foreign govermments worth hundreds of millions dollars. Take a look at LM's organization, as set out on its own web site: P3D is buried in one of four huge business areas: Rotary and Mission Systems (RMS), which alone has 34,000 employees. Digging deeper into RMS, we see it comprises these business units: C4ISR, Cyber Solutions, Directed Energy, Electronic Warfare, Maritime Systems, Radar & Sensors, Sikorsky, Unmanned Systems, and Training Logistics & Sustainment. P3D is in the latter business unit. It's not too surprising that they are focused on defense. And I am am not sure that detracts from the quality of P3D as a simulator. It actually may be helpful. LM would never have ventured into the expensive development of P3D if the company had not been able to include it as part of its military business objectives. I don’t see how you can be disappointed when Lockheed Martin is in the defense business. LM has gone to great lengths to accommodate the “civilian” simmers such as ourselves. It’s very likely we would still be in the ancient 32 bit FSX world if not for LM. LM would never have ventured into the expensive development of P3D if the company had not been able to include it as part of its military business objectives. According to Adam Breed in one of the recent interviews, Lockheed ventured into P3D because they were looking for a cost-effective platform to use for in-house training (which they were doing with the actual aircraft systems at that time). That would imply that initially they weren't planning to sell it at all, and that the project budget was maybe being paid by in-house R&D. And that would also imply that they didn't really have to care that much about sales, that those were just an added bonus. No idea if that situation has changed a lot in the last years or why they did start selling the platform. "Serious" users (=companies) seem to prefer to pay a million dollars for a commercial solution, like those named above, instead of buying into the P3D desktop sim environment. In any case, that market is pretty crowded, and contracts are very hard to come by. What if Lockheed and the government bans it's use to us civilian simmers due to the possibilty it could be used for military purposes? I have been using Prepar3d since it came out and it never crossed my mind it could possibilty be used in that manner. I am afraid to start it up now. snark snark. They do what makes commercial sense, period. We should all be happy to be along for the ride. But one must always be Prepar3d. We are simply their cheap R&D tools and beta testers. Their real business and income are not from us--nor they will ever be. We're lucky, in some respects to have a very rich company, like Microsoft, at work on the sim and its evolution. LM is not a consumer gaming company. I think that is exactly what happened. I have had some insight into how this works. Every government contract that such a company bids includes R&D expenses as part of the contract bid price. Indeed, they are, and it has taken the original fsx to this point. It's a win for a small hobby like ours. I find this interview most interesting (it's a podcast with Adam Breed). It's from mid last year, but it covers a lot of details about the project. Potential enemies could easily train in this same platform. So the enemies of United States ähhhh let me say the Klingons *) can make addons with _their_ MIG- [censored] UFO-fighters and train best against the "defensive" weapons from LM. *) could also be the Europeans or the South-Americans, as I remembered some statements from Donald D.